Adorn your dining area with Crown Point Collection. 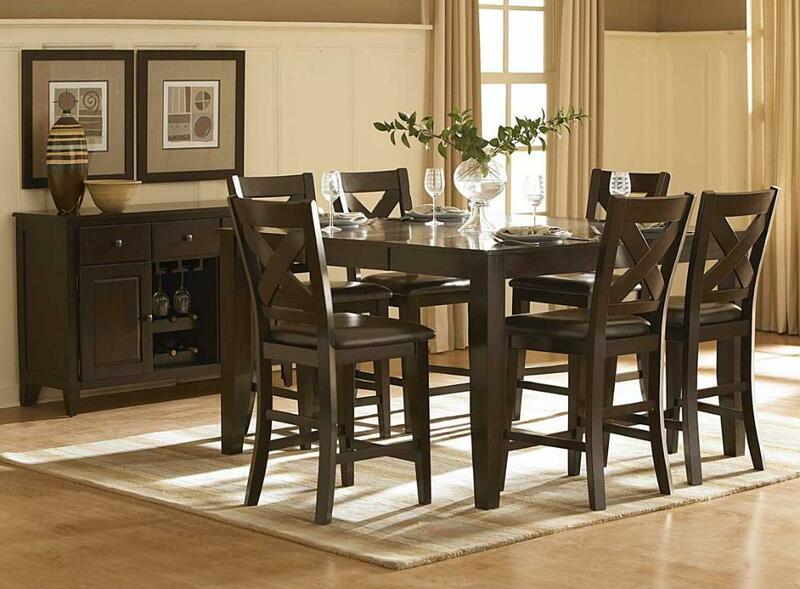 This grand scale casual dining in warm merlot finish is as strong and durable as they are stunning. Table top is constructed of mango veneer with strong support tapered legs. Attractive "X" back dining chair with comfortable leather-look dark brown seat completes the unsophisticated streamlined look. FEATURES: Warm Merlot Finish ~ Transitional Style ~ Mango Veneered Table Top ~ Butterfly Leaf Table ~ Dark Brown Bi-Cast Vinyl Chairs.